Shares are a special function of the External Storage Tool that can be accessed by authorized users in your home network. 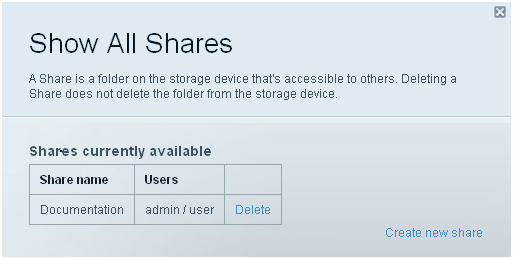 Creating specific shares will enable you to take control and manage which folders are accessible to certain users that access your External Storage. IMPORTANT: If you are using a previously configured hard drive, you will receive the following message. Click Continue in order to use the new USB features. This will not delete any data on the drive. Log on to your Linksys Smart Wi-Fi Account. To learn how to do this, click here. IMPORTANT: The following steps will be applicable only if the Folder Access is turned ON. 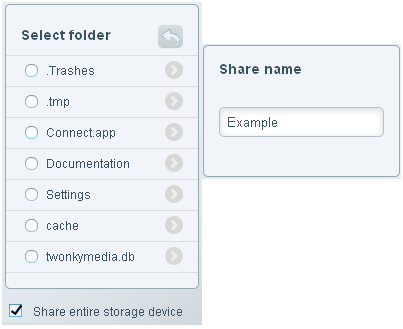 All folders in your External Storage will be accessible by both admin (read and write) and guest (read only) users. IMPORTANT: You cannot create folders on the storage device using your Linksys Smart Wi-Fi Account. You need to manually create folders on the storage device using your computer then link the folder to share afterwards. To create a new folder, access the drive by going to Start > run > then enter “\\192.168.1.1” (default IP address of the router). If prompted for username and password, the username is admin and the password would be your router’s password (default is admin). Once you have accessed the drive, create the folders that you need. a. Specific Folders - Select the specific folder that you want to share. In the example below, the Settings folder was selected to be shared. b. All Folders - Tick on Share entire storage device to allow access to all files on your drive. By adding authorized users, you can specify access to certain folders in the External Storage. You can limit access to some folders in your shared drive as well. For example, admin users can access all folders while guest users can only access media folders. You will see the newly added user listed below the admin and guest users. 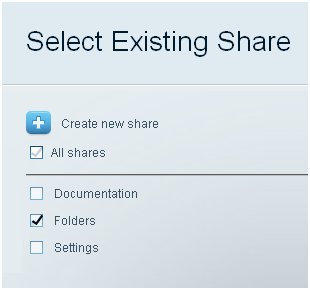 NOTE: Once the settings are saved, the Shares link will appear and you will be able to configure shares for that user. Select and tick the specific folder that you want to share then click OK.